What Makes a Mathematical Genius? | SciTech Connect What Makes a Mathematical Genius? The film The Man Who Knew Infinity tells the gripping story of Srinivasa Ramanujan, an exceptionally talented, self-taught Indian mathematician. While in India, he was able to develop his own ideas on summing geometric and arithmetic series without any formal training. Eventually, his raw talent was recognised and he got a post at the University of Cambridge. There, he worked with Professor G.H. Hardy until his untimely death at the age of 32 in 1920. 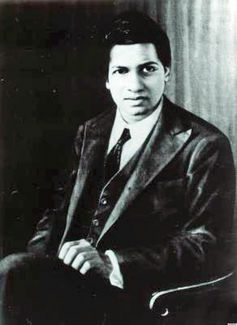 Despite his short life, Ramanujan made substantial contributions to number theory, elliptic functions, infinite series and continued fractions. The story seems to suggest that mathematical ability is something at least partly innate. But what does the evidence say? There are many different theories about what mathematical ability is. One is that it is closely tied to the capacity for understanding and building language. Just over a decade ago, a study examined members of an Amazonian tribe whose counting system comprised words only for “one”, “two” and “many”. The researchers found that the tribe were exceptionally poor at performing numerical thinking with quantities greater than three. They argued this suggests language is a prerequisite for mathematical ability. But does that mean that a mathematical genius should be better at language than the average person? There is some evidence for this. In 2007, researchers scanned the brains of 25 adult students while they were solving multiplication problems. The study found that individuals with higher mathematical competence appeared to rely more strongly on language-mediated processes, associated with brain circuits in the parietal lobe. However, recent findings have challenged this. One study looked at the brain scans of participants, including professional mathematicians, while they evaluated mathematical and non-mathematical statements. They found that instead of the left hemisphere regions of the brain typically involved during language processing and verbal semantics, high level mathematical reasoning was linked with activation of a bilateral network of brain circuits associated with processing numbers and space. In fact, the brain activation in professional mathematicians in particular showed minimal use of language areas. The researchers argue their results support previous studies that have found that knowledge of numbers and space during early childhood can predict mathematical achievement. For example, a recent study of 77 eight- to 10-year-old children demonstrates that visuo-spatial skills (the capacity to identify visual and spatial relationships among objects) have an important role in mathematical achievement. As part of the study, they took part in a “number line estimation task”, in which they had to position a series of numbers at appropriate places on a line where only the start and end numbers of a scale (such as 0 and 10) were given. The study also looked at the children’s overall mathematical ability, visuospatial skills and visuomotor integration (for example, copying increasingly complex images using pencil and paper). It found that children’s scores on visuospatial skill and visuomotor integration strongly predicted how well they would do on number line estimation and mathematics. An alternative definition of mathematical ability is that it represents the capacity to recognise and exploit hidden structures in data. This may account for an observed overlap between mathematical and musical ability. Similarly, it could also explain why training in chess can benefit children’s ability to solve mathematical problems. 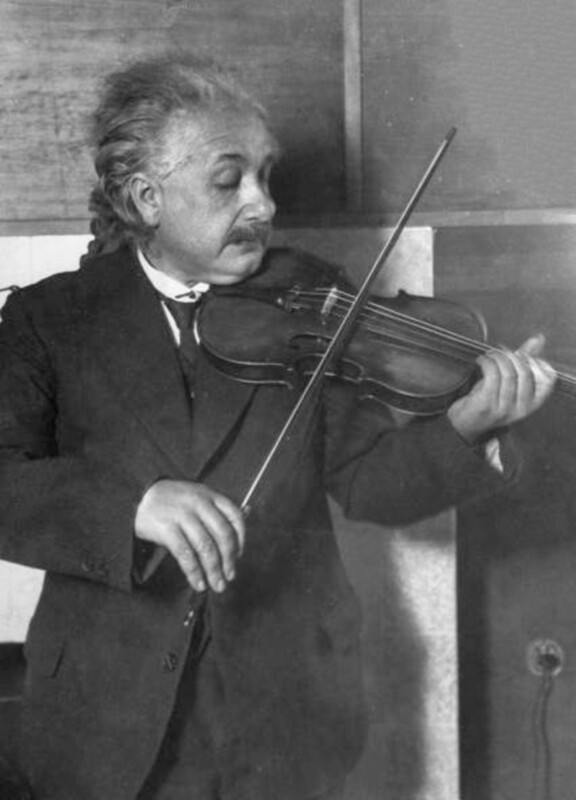 Albert Einstein famously claimed that images, feelings and musical structures formed the basis of his reasoning rather than logical symbols or mathematical equations. However, the extent to which mathematical ability relies on innate or environmental factors remains controversial. A recent large scale twin and genome-wide analysis of 12-year-old children found that genetics could explain around half of the observed correlation between mathematical and reading ability. Although this is quite substantial, it still means that the learning environment has an important role to play. So what does all this tell us about geniuses like Ramanujan? If mathematical ability does stem from a core non-linguistic capacity to reason with spatial and numerical representation, this can help explain how a prodigious talent could blossom in the absence of training. While language might still play a role, the nature of the numerical representations being manipulated could be crucial. The fact that genetics seems to be involved also helps shed light on the case – Ramanujan could have simply inherited the ability. Nevertheless, we should not forget the important contribution of environment and education. While Ramanujan’s raw talent was sufficient to attract attention to his remarkable ability, it was the later provision of more formal mathematical training in India and England that allowed him to reach his full potential. The author of this article is David Pearson, Reader of Cognitive Psychology, Anglia Ruskin University. This article was originally published in The Conversation under a Creative Commons Attribution No Derivatives license. Read the original article here. A new book by the power team of Daniel Berch, David Geary, and Kathleen Mann Koepke, is a review of how contemporary brain imaging techniques and genetic methods can inform our understanding of mathematical cognitive development and ways to improve it. Development of Mathematical Cognition is available in print or as an e-book, and is also available online via ScienceDirect. Read a sample chapter – Chapter 4 – A Neurodevelopmental Perspective on the Role of Memory Systems in Children’s Math Learning here. To read more from the book, you can visit ScienceDirect, or you can order a print or e-book via the Elsevier Store. Apply discount code STC215 for up to 30% off the list price and free shipping worldwide! Prefer to read it online, access it via ScienceDirect today. It has been said that “math is the language of science,” a common basis for understanding the world around us, no matter where in the world we are. From the most rudimentary measurements to the most sophisticated computational modeling, mathematics and statistical analysis are fundamental not only to pure scientific investigation, but to business, financial markets, health care, and more. In addition to providing core textbooks in algebra, calculus, analysis, probability, and statistics (including software such as R and BUGS), we publish valuable applied math reference content for professionals and researchers in all areas of physical and life science, finance, economics, engineering, and computing.